General Contractor: Richard White Sons, Inc. Standing at the center of the New Bedford National Historic Park, the Bourne Building, housing the New Bedford Whaling Museum, was built in 1916 with the express purpose of housing a 50’ model whale ship. 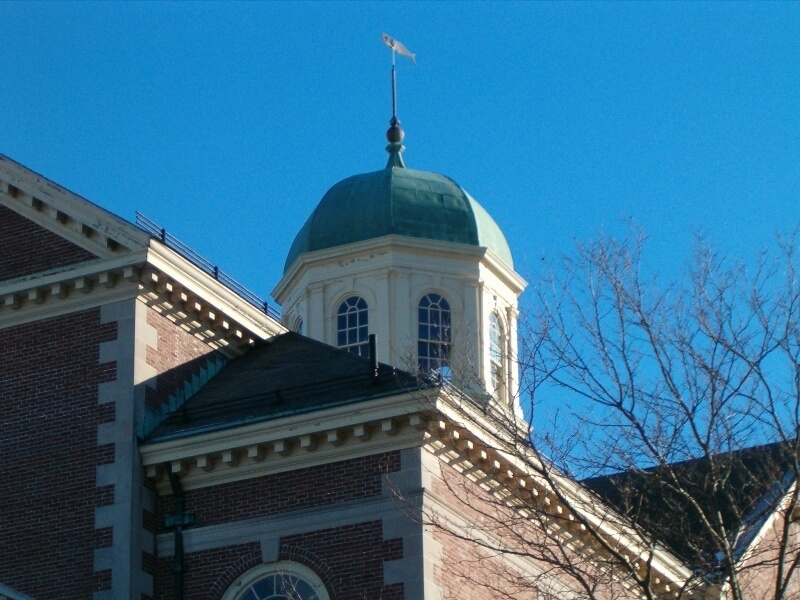 Designed by renowned church architect Henry Vaughan, the brick and stone Georgian Revival style structure exhibits a large central cupola and monumental Palladian windows, and a barrel-vaulted ceiling in the central exhibition space. 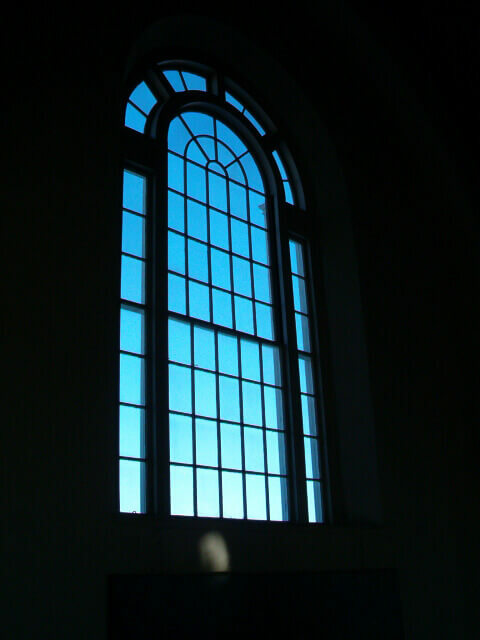 In 2006, M&A restored all of the monumental windows at the museum. 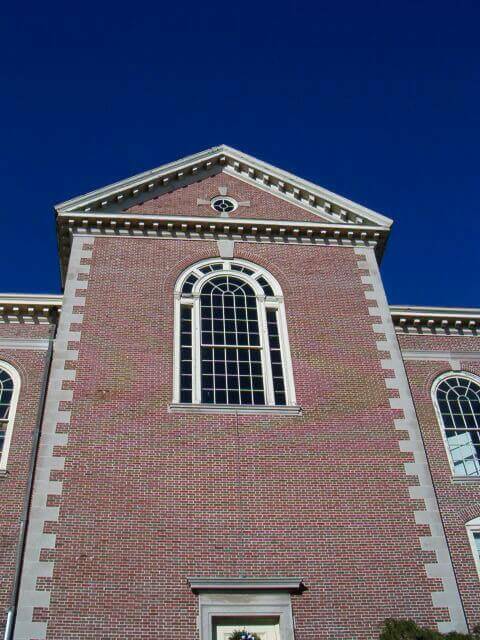 At the cupola, the sash and trim components were too badly deteriorated to be salvageable and were replaced with new mahogany sash and trim to match the originals. 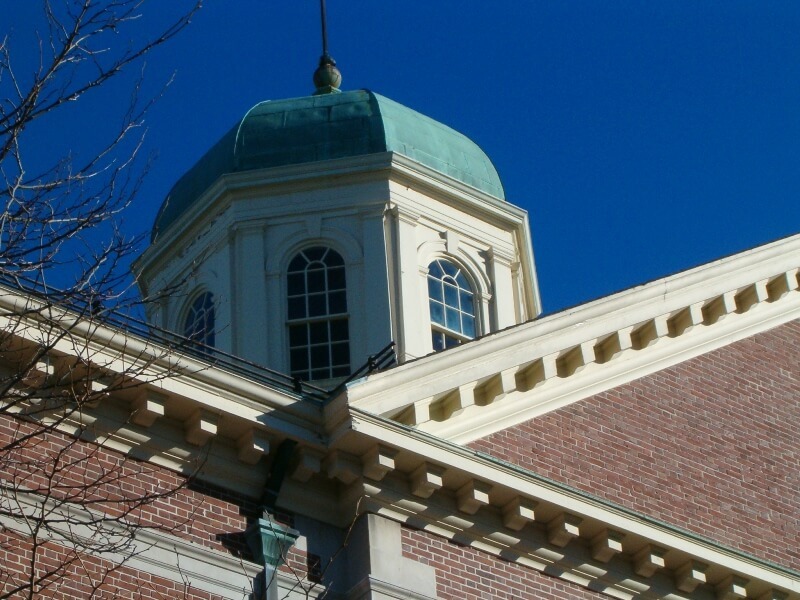 Once able to examine the cupola up-close, M&A’s preservation carpenters determined that the crown molding and sills were extremely deteriorated and in need of replacement, and the two ocular windows at the cupola also required repairs.